projectname: This folder will contain all the project files. projectname.log: This file stores the information about the different actions performed in the project. projectname.p4d: This file opens the project in Pix4Dmapper when double click. It stores information about the Coordinate System used, project's processing options selected, camera used, the original images, the Manual Tie Points marked, the GCPs imported and the Objects drawn in the project. For more information about the project folder structure: Project Folder Structure. Once 1. Initial Processing starts, a folder named 1_initial is created within the project_name folder and it contains all the results of step 1.
images: Not generated by default, stores the undistorted images that have been undistorted using the original images and camera model distortion parameters. params: Generated if the Camera Internals and Externals, AAT, BBA is selected in the Export section of 1. Initial Processing: Menu Process > Processing Options... > 1. Initial Processing > Calibration. It stores several files containing different parameters computed during the processing, such as internal and external camera parameters, initial and optimized GCP positions, etc. For more information: What does the Output Params Folder contain?. project_data: Stores different files needed by the software for different processing steps. report: Generated always. Stores the Quality Report. Once step 1. Initial Processing is completed, the Quality Report is generated. It contains information about the processing options, the results of step 1 and the accuracy control of the project: Quality report specifications. Once 2. Point Cloud and Mesh starts, a folder named 2_densification is created within the project_name folder and it contains all the results of step 2. 3d_mesh: Stores the 3D Textured Mesh in the different formats selected. By default the .obj and the relative image for the texture as well as the .fbx file formats are generated. project_name_simplified_3d_mesh_OSGB: Stores the multi-LOD mesh in .osgb format..
project_name_simplified_3d_mesh_SLPK: Stores the multi-LOD mesh in .slpk format. point_cloud: Stores the Point Cloud in the different formats selected. By default only the .las file format is generated. project_data: Stores different files needed by the software for the different processing steps, the Point Cloud and other selected outputs in the processing options in .p4b format. The .p4b files can only be opened in Pix4Dmapper. Once step 3. DSM, Orthomosaic and Index starts, a folder named 3_dsm_ortho is created within the project_name folder and it contains all the results of step 3. 1_dsm: Stores the Raster DSM (2.5D) and the Grid DSM (2.5D) in the different formats selected (.tif, .las, .laz, .xyz). 2_mosaic: Stores the orthomosaic (with and without transparency). google_tiles: Stores the Google Map Tiles and KML. dtm (optional): Stores the DTM. contours: Stores the contour lines. project_data: Stores data related to the project. meditor: Stores data when using the Mosaic Editor. Note: The orthomosaic is overwritten when editing the mosaic using the Mosaic Editor. Once step 3. DSM, Orthomosaic and Index is completed, the Quality Report is updated and reopened. The new information contains DSM, Orthomosaic and Index details and processing options: Quality report specifications. New Polyline (How to draw a Polyline in the rayCloud). New Surface (How to draw a Surface in the rayCloud). New Processing Area (How to select / draw the Processing Area). New Video Animation Trajectory (How to create a Video Animation Trajectory in the rayCloud). Those objects are stored as part of the content of the .p4d project file. These objects can also be exported to a file using different file formats. Export Objects in the rayCloud (How to export objects in the rayCloud). Export the Point Cloud (How to export the Point Cloud). Export the Triangle Mesh (How to export the Triangle Mesh ). Clipping box (How to use the Clipping Box in the rayCloud). Orthoplane (How to draw a new orthoplane). Other changes made in the rayCloud such as editing the Point Cloud (How to edit the point cloud in the rayCloud) adding and marking Manual Tie Points or GCPs, enabling or disabling cameras, etc. are saved in the .p4d project file and can be exported. Import and export the volumes. Note: It is possible to open the Volumes view only when both the point cloud and the DSM are generated. Volumes manual: Full description of the different features: Menu View > Volumes. How to draw a volume: How to draw a Volume. How to import a volume: How to import a Volume into Volumes. How to export a volume: How to export Volumes. How to edit a volume: How to edit a Volume. How to update a volume after editing the point cloud: How to update a Volume after editing the Point Cloud. How to select the base surface of a volume: Which Base Surface is recommended for the Volume Calculation?. 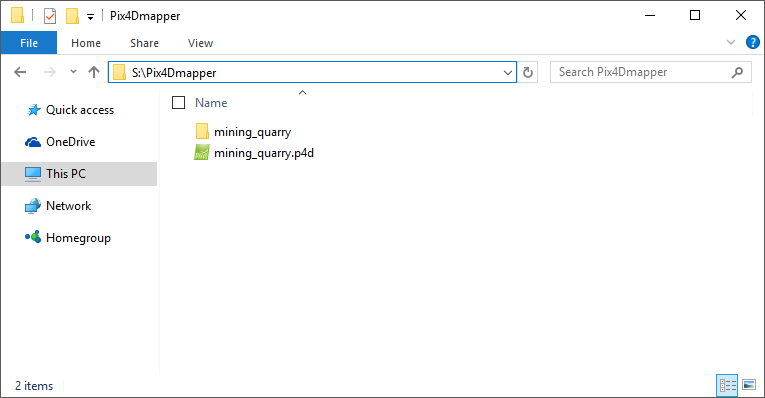 How to remove objects from a stockpile for the volume computation: How to remove Objects from a Stockpile for the Volume Computation. More information about the measures acquired: Menu View > Volumes > Sidebar > Objects. When creating volumes in the Volumes they are stored in the .p4d project file. The volumes can also be exported in various file formats: How to export Volumes. The measures computed for the volumes can be copied to clipboard to be pasted in a spreadsheet or a text editor: Menu View > Volumes > Sidebar > Objects. It is possible to export the Point Cloud: Menu View > rayCloud > Left sidebar > Layers > Point Clouds . It is possible to edit the Point Cloud: How to edit the point cloud in the rayCloud. It is possible to export the 3D Textured Mesh: Menu View > rayCloud > Left sidebar > Layers > Triangle Meshes . When editing using the Mosaic Editor, any change done is stored in the meditor folder (Project Folder Structure). 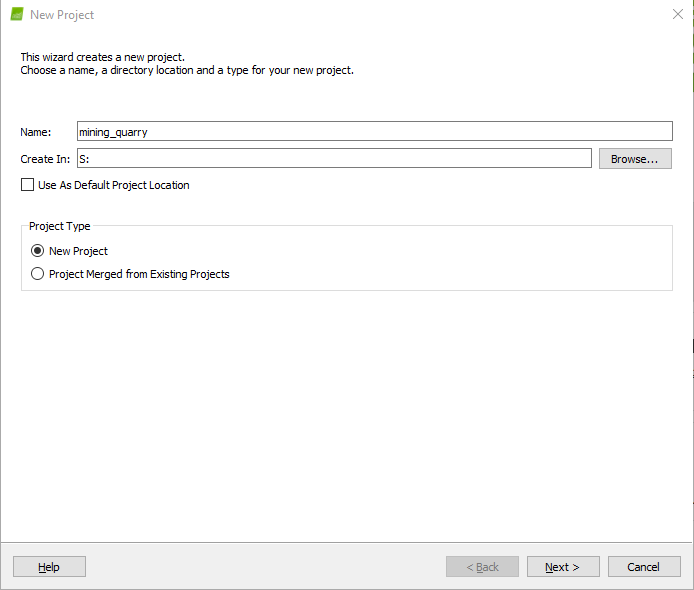 This folder is created in the selected project path when saving the mosaic by selecting Export on the right sidebar. The exported Edited Mosaic overwrites the Generated Mosaic that is stored in the results folder. The Grid DSM as well as the different orthomosaic formats (GeoTIFF, Google Maps Tiles, etc.) will be regenerated if selected in the processing options. When using the Index Calculator, different outputs are generated, modified, or deleted by different actions. Warning: By generating a new Reflectance Map, ALL previously-generated Index Calculator results will be DELETED. Warning: If the Index formula is modified, by clicking Generate again, results of the selected Index will be overwritten and the previously-exported Colored Index Map will be deleted. Warning: When changing the name of a user-defined Index, all previously-generated files of the updated Index will also be renamed. Warning: When changing the formula expression from a user-defined Index, ALL generated files of the updated Index (Index Map and Colored Index Map) will be DELETED. The Index formula will be stored in the .p4d project file. The Index formula will be deleted from the .p4d project file. Warning: When deleting a user-defined Index, ALL previously-generated files of the deleted Index (Index Map and Colored Index Map) will also be DELETED. Warning: If any Classified Index Maps or Colored Index Maps already exist, generating new Maps will overwrite the existing ones. When modifying a camera model or creating a new camera model, the new camera model information is stored in the user's camera model database. The camera model database can be exported to .xml file and can be stored in any selected path. The marked ground control point (GCP) position in the images can be exported to a file stored in any selected path: How to export the marks of GCPs/Manual Tie Points in the GCP/MTP Manager. Warning: The zoom level at which GCPs are marked has an influence on the GCP error obtained in the Quality Report as well as on the reconstructed 3D model. However, the exported file does not save the zoom level at which the GCPs have been marked.